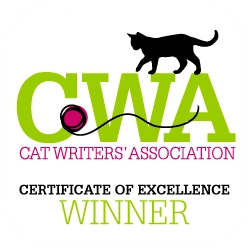 Cat Calls, Wonderful Stories and Practical Advise from a Veteran Cat Sitter is a fun read, full of interesting anecdotes about cat sitting to a whole host of advise about taking care of your cat. 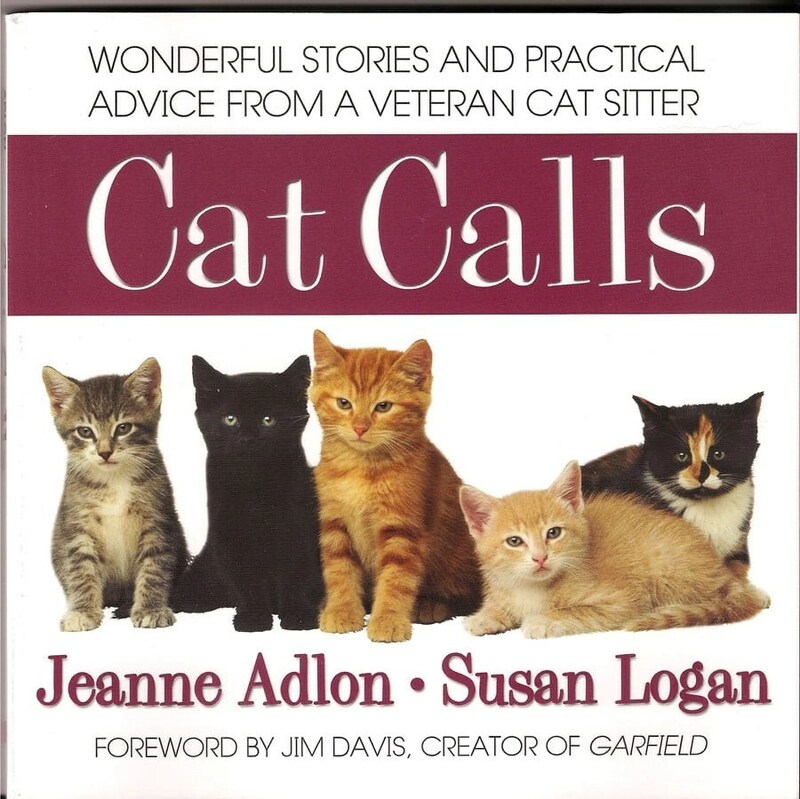 Written by New York City cat sitter Jeanne Adlon and Susan Logan, editor of Cat Fancy Magazine, with a foreword written by Jim Davis, creator of none other than Garfield, one expects a book of real substance. Cat Calls delivers.. Published by Square One Publishers earlier this year, the illustrations are delightful and Jeannie Tudor, who designed the cover, and Cathy Morrison who did the interior illustrations should be given due credit for helping make this book a delight. Each of the seven chapters focuses on a particular issue that cat owners should know, including adopting new pets, feeding kitty, coping with litter box problems, addressing health-care issues, providing regular grooming, preventing and dealing with bad behavior. In each chapter, she adds anecdotes about her furry friends and their owners. She talks about trekking through a blizzard to her appointed cat person. She’s walked up endless flights of stairs because the electricity was out, but the felines still needed attention. She talks about using brewer’s yeast and garlic on dry food as an additive to ward off fleas (something I’m just going to have to try). Adlon grew up in the Upper West Side of New York City, graduated from the School of Arts and Design in New York City and started working at a trendy fashion boutique, Fancy That. One day early in her career she befriended Cleveland Armory, then a popular reviewer for TV Guide, who would later become famous for his best selling books: The Cat Who Came For Christmas, The Cat and the Curmudgeon, and The Best Cat Ever. When they first met, he was involved in his Fund for Animals rescue work. Six months later, he offered her a job. Upon leaving Fund for Animals in November of 1974, she opened the Cat Cottage, a gift shop for cats and their owners, and boarded customer cats. Among her customers: John Lennon and Yoko Onno, known to be avid cat people. Then one day, one of her customers asked her to go to her home to watch her cat because she didn’t want to board him at the store anymore. 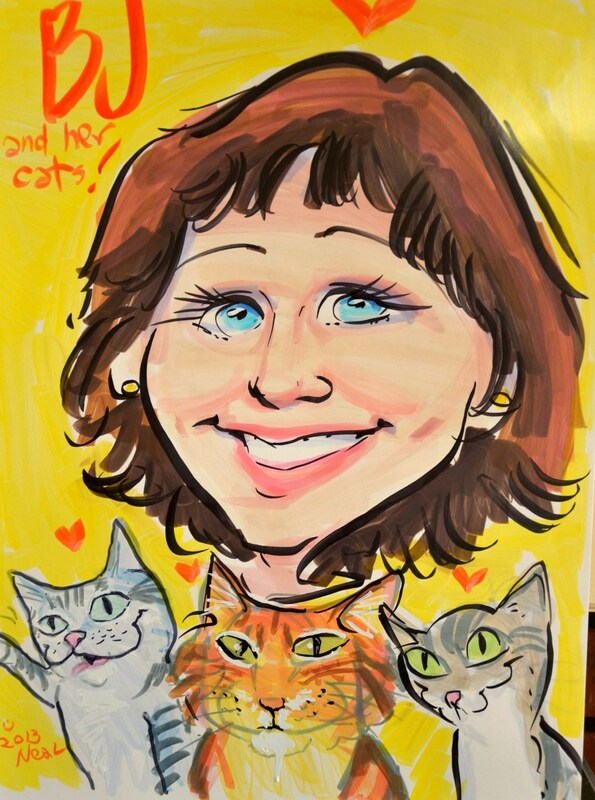 Her business was born, in a time when cat sitters were almost unheard of. The book shares a host of information about cats. I for one particularly liked her feline facts. Below are just a few enlightening facts that she shares. Adult cats reserve their meowing for humans. Cats move both their left feet forward followed by both their left feet, giving them a sleek gait. The triangular tip at the end of a cat’s nose may be pink or black, and like human fingerprints every cats nose print is unique. Cats seem to like warm and smelly food, especially if they’re losing their appetite. A cat uses the tip of the tongue to pull water upwards to his mouth. He then snaps his jaw shut before gravity can pull the liquid back to earth. Cats use a jacobson’s organ at the top of their mouth in addition to their nose to smell. If a cat has diarrhea for two days, it is equivalent of two weeks in human time. Each cat’s front paws has a clew claw, raised above the ground on the inside of the leg. In the wild, they use this to hold down their prey. Cats don’t appreciate catnip till they are about four to five months old. Mature cats can sleep up to 18 hours a day, but can move from the sleep state to full alertness faster than any other animals in the world. Cat whiskers are so ultra sensitive they can detect the slightest change in the direction of a breeze. Cats, like people, mourn for, and get depressed at losing a co-cat or best human friend. Scratching posts should be a good height, at least 3 feet, to allow kitty a good stretch. Place in front of furniture where kitty scratches. Cats have scent glands on the underside of their front paws on either side of their head, on their lips and on the base of their tail. When they rub against an object, they are marking their territory. Cats have 32 muscles that control the outer ear allowing each ear to turn independently and hone in on sounds. Catnip can lose its zing. To increase it’s life, put them under ht water and squeeze the water out. There’s lots more info and humorous anecdotes in this 123 page entertaining read. Go to you local bookstore, library, or order online. You won’t be disappointed. This book was the recent recipient of a Muse Medallion from the Cat Writers Association. Are you a fan of Cat Calls? 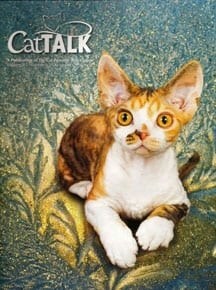 Is Cat Fancy Magazine on your monthly read list? Please share your thoughts with Paws for Reflection readers. We loved it (did a review/giveaway when it was first released) and so glad it won a Muse!